If you’re responsible for an e-Commerce website, you have probably spent a fair amount of time figuring out what to log. Logging everything might seem like the answer, but trying to keep on top of millions of e-Commerce log events is the kind of thing that makes you wake at 3:00am wondering why you decided to become a software engineer instead of [insert any job that lets you sleep during the night here]. There are lots of components and potential events to watch out for when you’re developing or hosting an e-commerce website, and you need to focus on what matters most. Where do you start? In an article that was recently published on APMdigest.com, I outline five areas that should be the initial focus of your logging efforts and for which you should have a log management system like Loggly. That way, you know when things are happening that require your immediate attention. Third-party services are common in e-commerce sites today, they’re integral to the site’s functionality, and there are plenty of places where things can go wrong from both a performance and user experience standpoint. So what should a savvy developer do? Log. Every e-commerce business knows the importance of having the right product assortment at the right prices, but operational issues can also have a direct impact on your customer’s decision to buy. By implementing an effective logging strategy and supporting that strategy with the right tools, you will immediately know about potential issues and be in a position to solve them quickly. So if you want a much better night’s sleep, read my article and get your logging efforts focused. 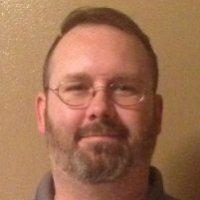 Aaron Remaklus is chief architect and development manager for Speedway Motors, Inc. He leads agile development teams building high availability, extensible e-commerce platforms. A Nebraska Wesleyan alumnus, Remaklus taps into a diverse background in business, marketing, training, and software development in tackling large-scale problems. Want more great content about how Speedway Motors improves customer experience using log data? Check out our case study: Loggly Keeps the Speedway Motors E-Commerce Site in Top Racing Form.